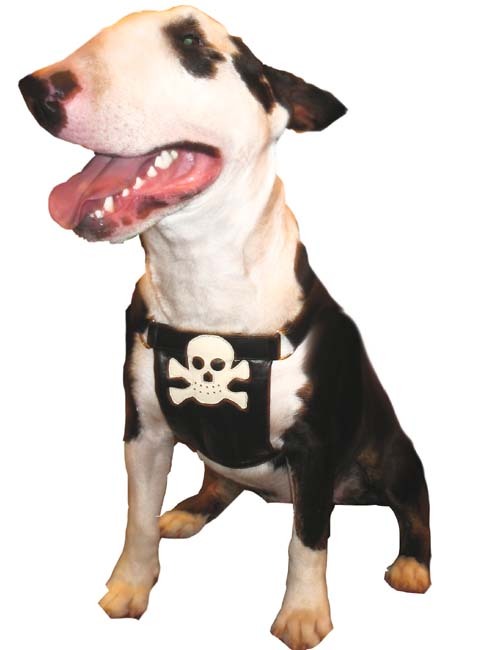 Pirate Calf Leather Dog Harness - Holly & Lil Collars Handmade in Britain, Leather dog collars, leads & Dog harnesses. It took us a year to prototype, test and refine our harness design, even going to the extent of importing the slide clips from the USA. Our final pattern was tested for several months by two wonderfully energetic Staffies and they emerged with thumbs up. 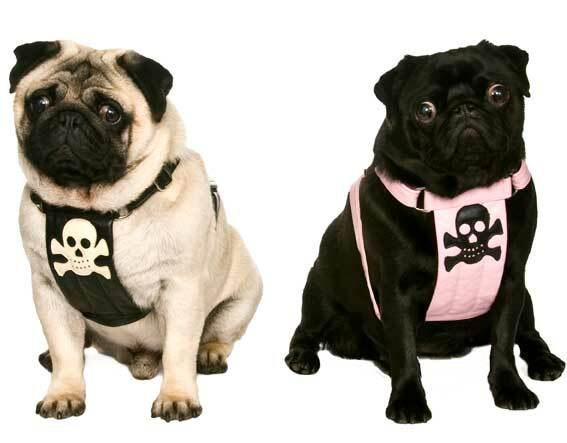 We usually have the black with Vanilla Pirates in stock. 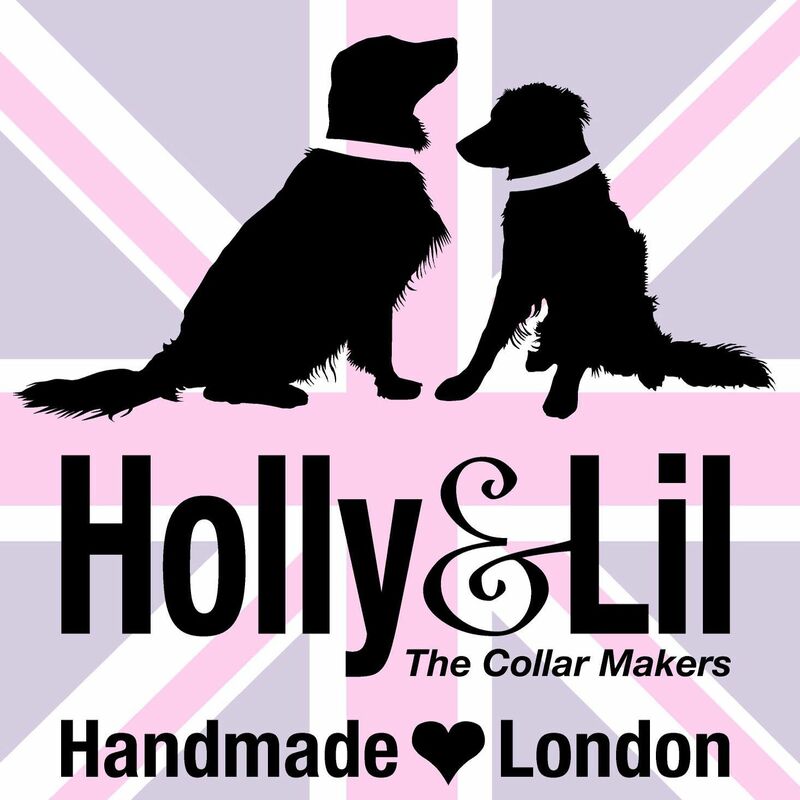 If you go for a bespoke colourways it will be individually made to order by our craftsman (delivery 6-8 weeks) our harnesses come in Small Medium and Large. 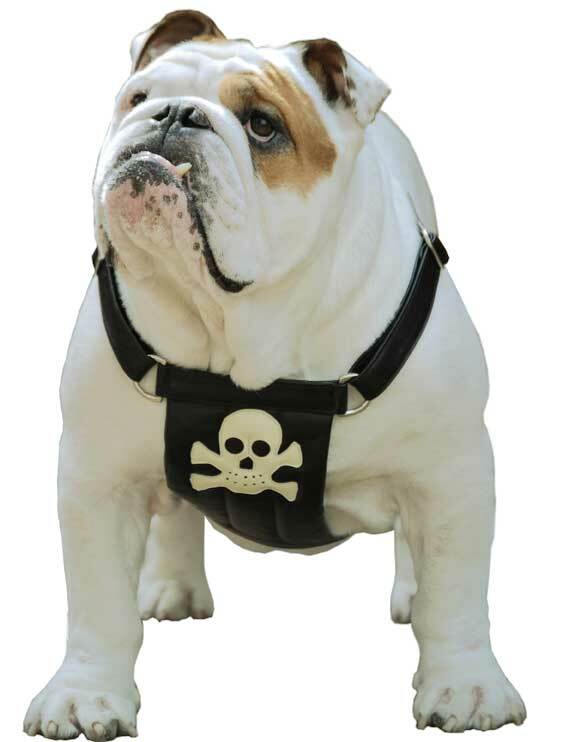 The Teeny Harness for Chihuahuas and Yorkies has a pirate on top but a striped Pirates Chest The main body is calf leather with a softly padded chest 'plate'. 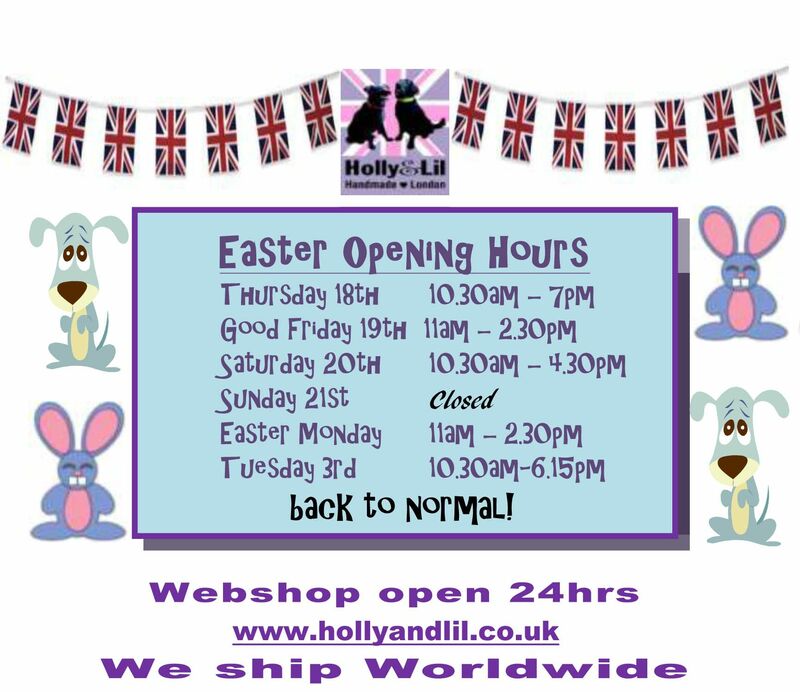 And there is a fabulous Skull & Crossbones on the chest and on the dog's back, giving a perfect match to a Holly&Lil piped lead. 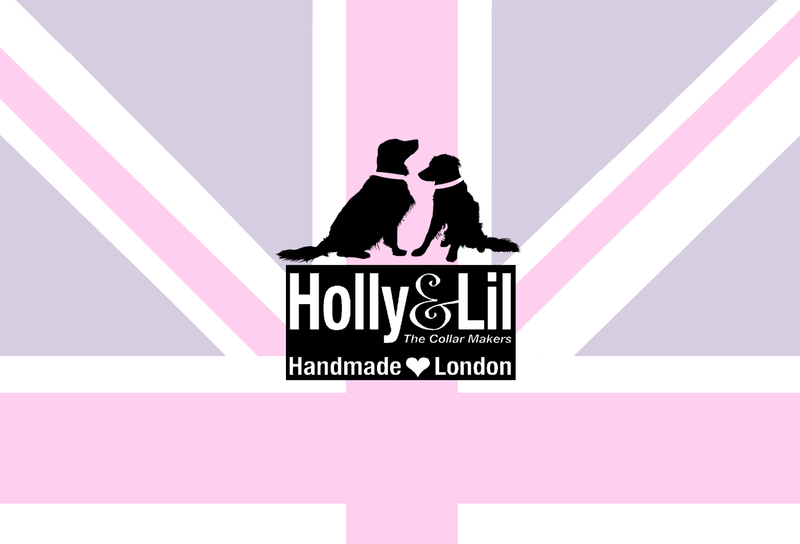 If you select the black and vanilla or Black and Baby Pink colourways then we have the black and vanilla leads in stock - any other colourways will be a bespoke option. The calf leather straps are all adjustable, allowing you to get a perfect fit. 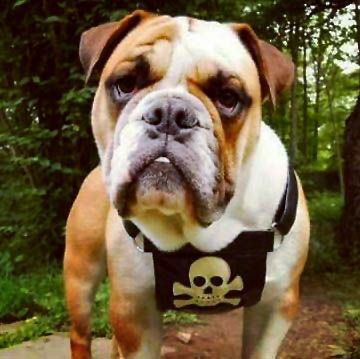 This is helped by the connecting rings which allow the harness to move very comfortably with your dog. 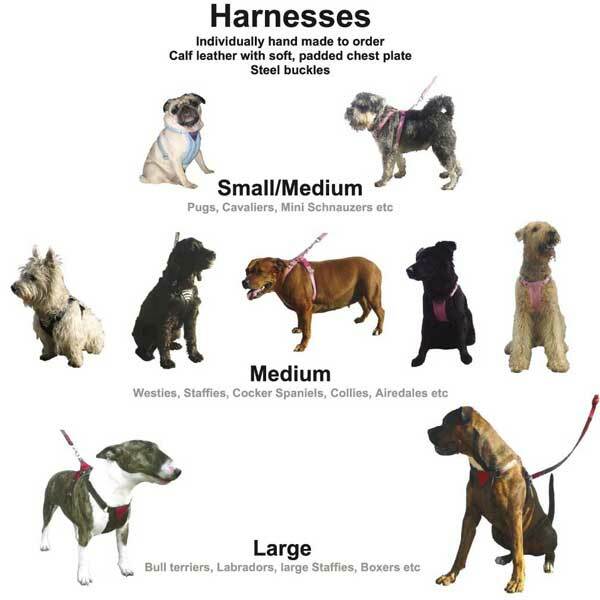 We suggest 3/4" straps for the medium dogs and 1" for the larger but you can of course select what you prefer.T To order select your body CALF colour (a) and Pirate colour (b) and your harness size. .